Since its Easter weekend, and I have already eaten 3 chocolate eggs.... (diet posts will soon follow....wahhhh!) I thought I would post about something that has interested me since I first saw them on British kids TV show blue peter....Faberge Eggs. They were made in Russia between 1885 and 1917 and given as gifts at Easter. The most famous, and the ones pictured, are known as Imperial Faberge Eggs, made for the Russian Royal family to give as gifts. They had trinkets, jewellry and small gifts inside, however most of them have been lost. 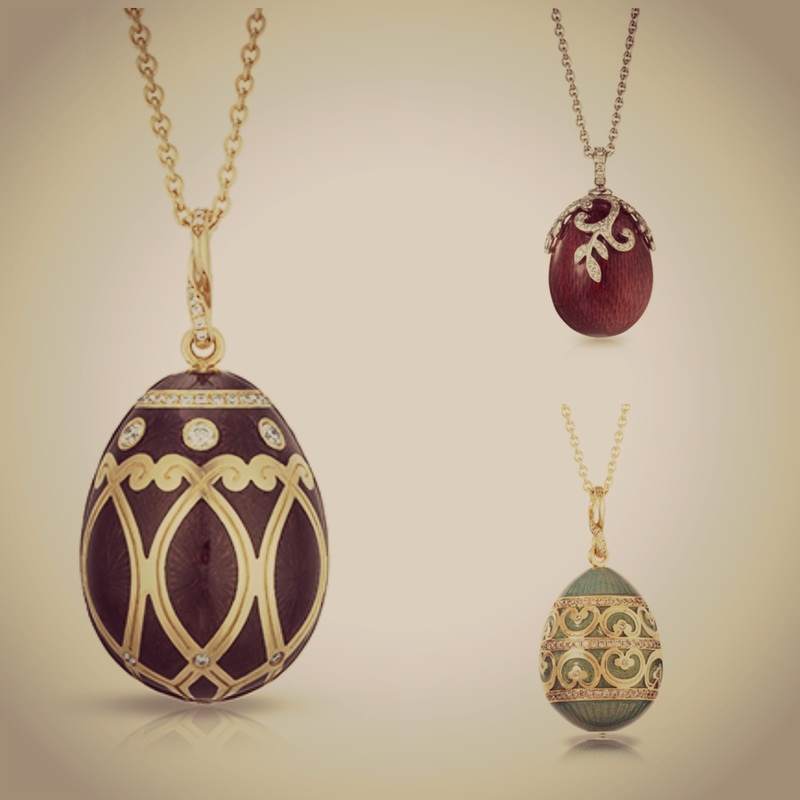 They are made from enamel, precious metals and gems, and 42 of 50 original Eggs survive. I dont know what I would actually do with it if I had one... (maybe use it as a paper weight?) but I do think they are beautifully crafted, have an interesting history and are nice to look at. 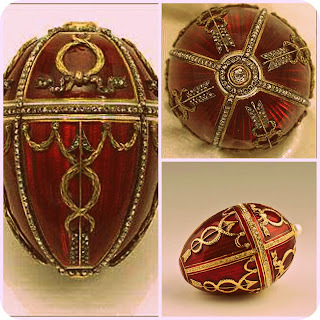 This is my favourite, known as the "Rosebud" egg, was made in 1895 for Tsar Ncholas II to give to his wife. 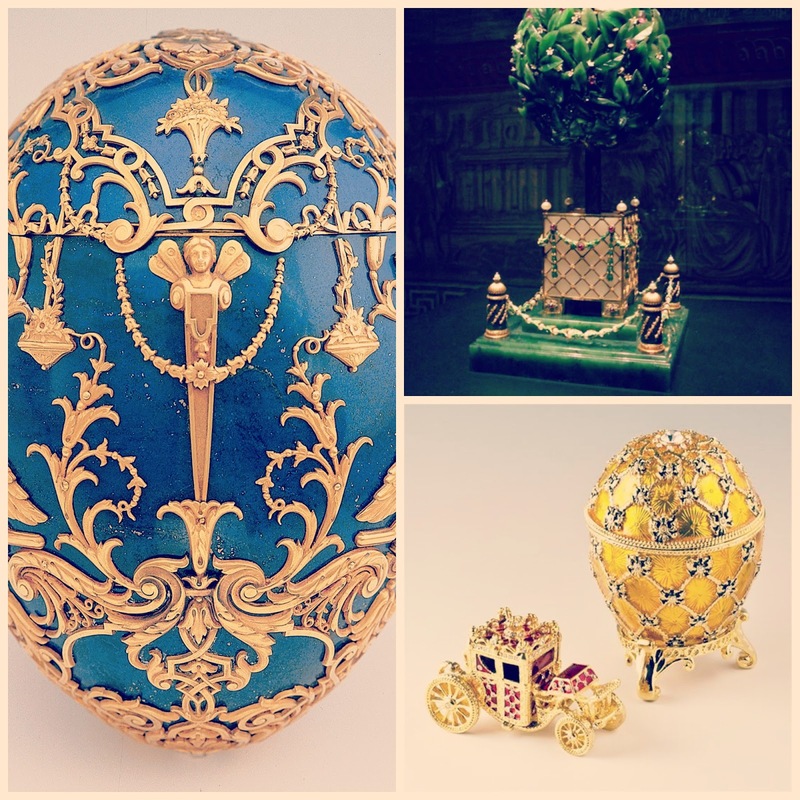 The House of Faberge still lives, and now also makes a range of jewelry and ornaments. My favourites are by far the Egg pendant necklaces, as they are so unique and beautiful, however are a little out of my price range, at between £6,000- £18,000 Euros...I had better get saving!! !